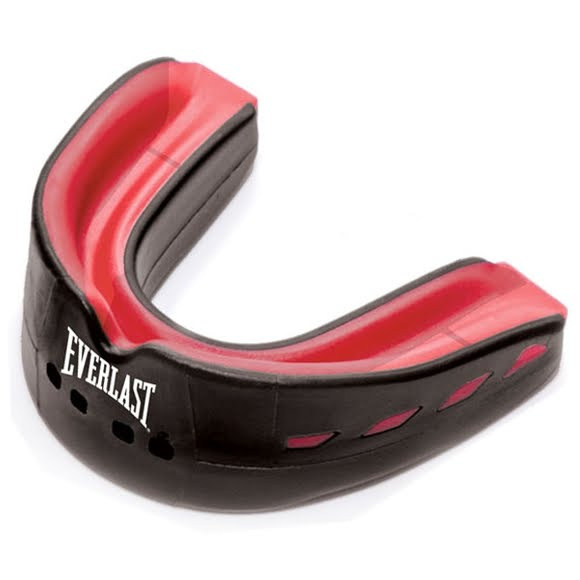 Keep your mouth safe and protected with help from the Evershield Double Mouthguard from Everlast. This comfortable mouthguard features a double layered frame includes a shock-absorbent inner layer surrounded by a more rigid outer shield specifically engineered for upper and lower jaw protection. Double layered frame includes a shock-absorbent inner layer surrounded by a more rigid outer shield specifically engineered for upper and lower jaw protection. Boil and bite design provides custom molds for a tight, comfortable fit. Includes plastic mouth guard case for clean and secure storage. 100% EVA. BPA and Phthalate free. Protection engineered. New shield design maintains a secure fit for advanced protection and comfort during training.